Lately I’ve been on this organic kick. I don’t know if it has anything to do with the fact that I’m turning 30 this year but I suddenly feel the urge to take better care of my body. Times are changing and more chemicals are being used. It’s hard to know which products to trust and which foods to eat especially when the media broadcasts so many health scares linked to certain ingredients. These days, I find myself relying less on store bought products and more on the good ol’ homemade remedies. Really, what’s there to lose? A couple of weeks ago, I had the privilege to attend the Ryobi “Power into Spring” Blogger Event in Toronto. I got to check out all their great product demos, attend a DIY workshop and listen to guest speaker, Frankie Flowers, give us advice on preparing our gardens for Spring. It was a lot of fun. Now of course, at the end of these events, we always get awesome swag bags. One of my favourite items we received is a book written by Frankie Flowers and Bryce Wylde called “Power Plants”. I have to admit, I’m pleasantly surprised by the wealth of information this book puts forth—everything from health benefits of each plant to growing tips. So this is where today’s post stems from. A simple recipe I found in the book using the herb, basil. 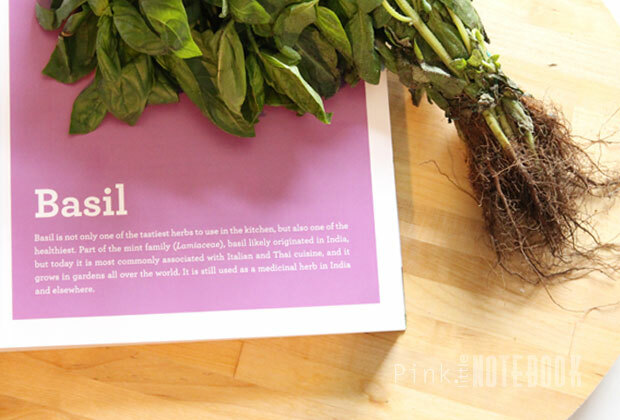 I always knew basil as a spice in many dishes, but I was unfamiliar with its wide varities of healing properties. Specifically for skin. So what’s the benefit of using a basil toner? I don’t know about you but I’m SOLD! 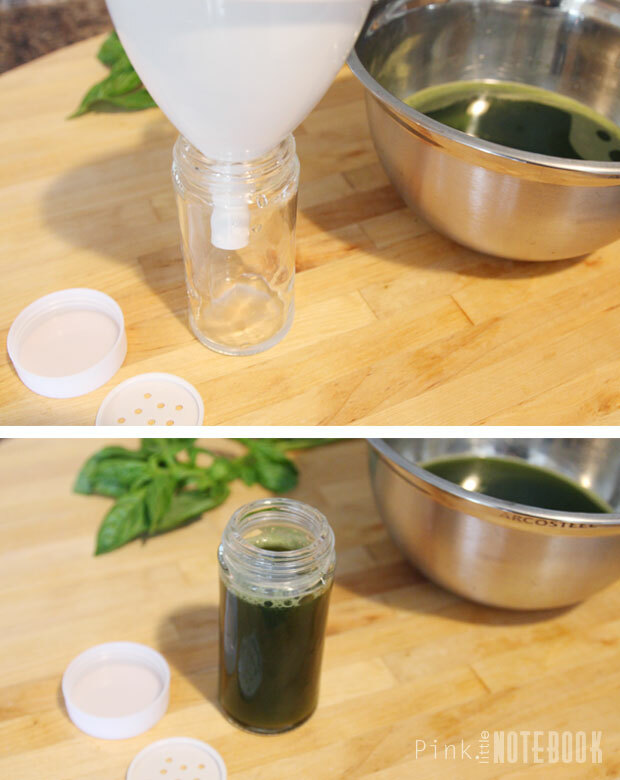 For a single portion of this facial toner, you will need 30 fresh basil leaves with 1/2 cup of boiling water. If you have this herb growing in your garden, lucky you! Otherwise, check the organic section of your local grocery store. 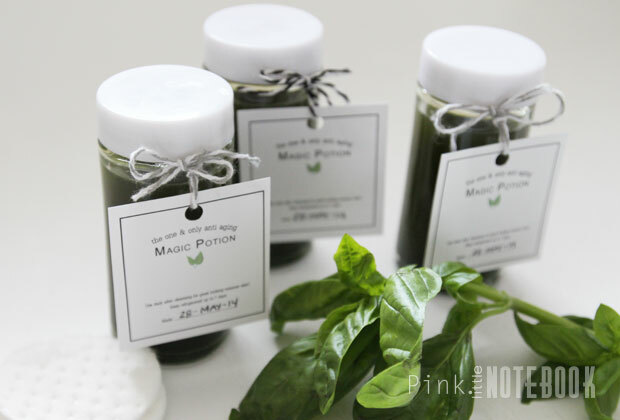 For this recipe, I wanted to make extra toner to give away to my lady friends so in my case I double the recipe (60 leaves, 1 cup of boiling water). 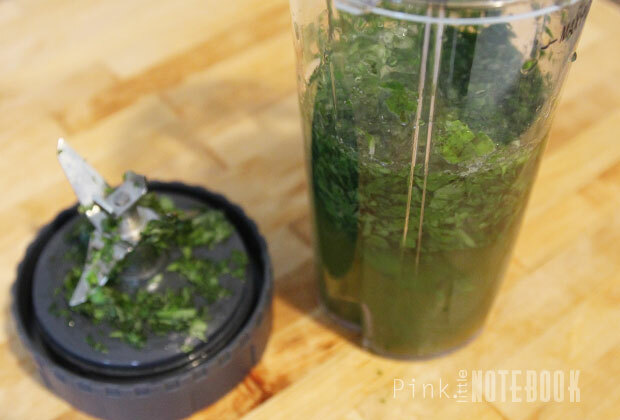 Take your two ingredients and blend on high speed until smooth. Let the mixture sit for 15 minutes to cool down. This allows all the oils to steep out in the water for maximum benefit. When it’s ready, use a fine-mesh strainer and pour your mixture into a bowl. You will be left a potent green liquid. Pour the liquid in a glass bottle. Tah-dah it’s that simple! For easy application, I found glass spice jars to work best. To use, moisten a cotton pad with the toner and sweep in upward motions on your face after cleansing in the morning and evening. 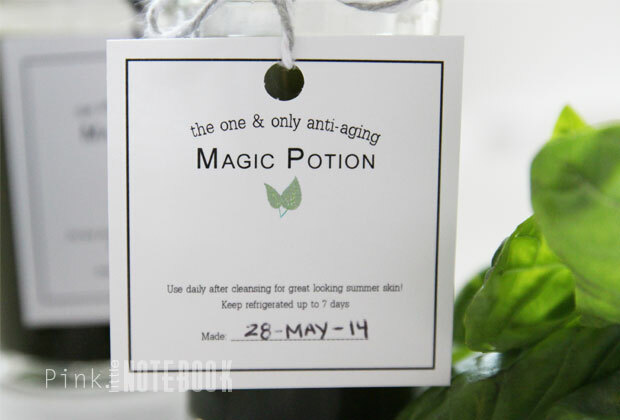 This toner will keep in the refrigerator for up to 7 days. Don’t forget to create fun labels and share with all your ladies! This toner is so basic, it’s hard not to give it a try. Now for the real test, in a couple of months I’ll post a follow up and let you know if I notice a difference in my skin. If you give this toner a try be sure to post your progress using the hashtag #basiltoner so I can follow along with you. im so trying this! So i can just buy basil at the grocery store? Thanks for sharing. 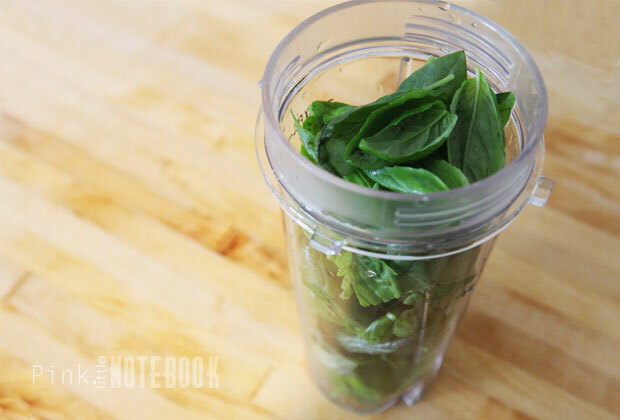 I have a lot of basil in my garden so I’m ready to make it when I get home. I will definitely try this out. Thank you. What a neat DIY! I never thought about making my own toner. Would love to try this. Great information. I had no idea basil did that. Thanks for sharing. Yeah, seriously, I’m on board with this too. This sounds amazing! I could use help with all of the above. I turn 30 this year too. Eeeep! I am turning 30 this year too! I am totally down to try this. 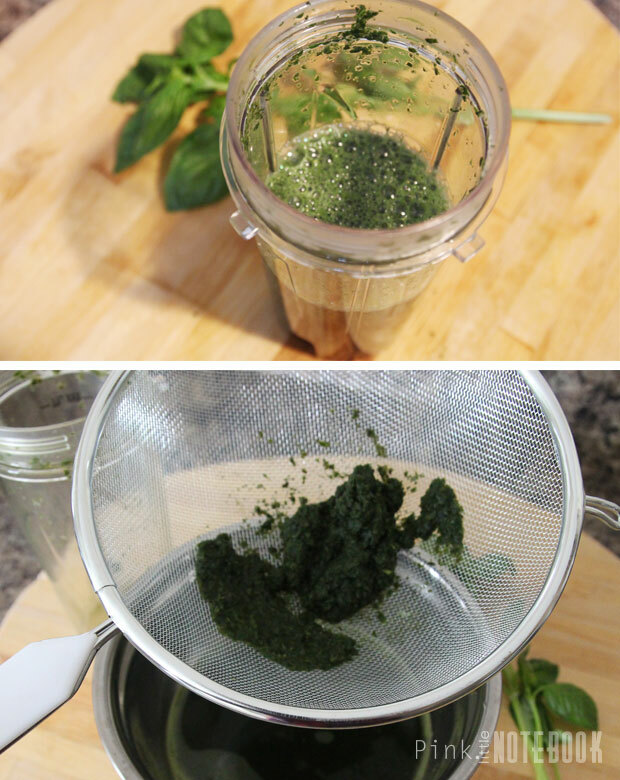 I always have basil in the house and this would be great for when I have to use up the stock of it I have leftover from cooking. Especially since I can use it to pamper myself after slaving away in the kitchen! Awesome Idea! Thank you for sharing! Great idea! I will be picking through my mother’s garden this weekend. Love the tags. Since the shelf life is only 7 days, refrigerated, I should think you could make up a larger batch and freeze in ice cube trays. This way, you could defrost cubes as go. I wonder if adding the basil to witch hazel would extend its’ shelf life without affecting the qualities of the basil?